Restore and revitalize all of your business’ tiled areas with KIWI Services’ trusted commercial tile and grout cleaning service. We have the commercial tools, formulas and equipment required to clean and shine ceramic tile and grout and many other flooring surfaces to enhance your company’s image and to save you thousands by extending the life of your pre-existing tile. Our Phoenix commercial tile cleaning technicians will fully evaluate your space and surfaces to ensure complete care throughout every square inch of cleaning. We gladly service schools, theaters, entertainment arenas, daycare centers, industrial facilities, conference centers and other spaces with tile flooring. KIWI Service’s tile and grout cleaning methodology is detailed and extensive. We use unique cleansers to eliminate dirt and decrease heavily soiled areas, including commercial kitchens and bathrooms. Our technicians are trained to use high-tech bonnets and buffers that loosen and lift dirt particles off of the tile while simultaneously restoring its shine and luster. Our specialized commercial tile and grout cleaning machines are exclusively designed to clean tile without harming the finish or quality of the material. Together, these tools will eliminate even the deepest, most permanent stains within your tile and grout. It’s Economical — Your commercial cleaning is fully tax deductible, so you save more than you would if you were to write off in-house maintenance and cleaning fees. It’s Preventative — KIWI Services is licensed, bonded and insured. That means you prevent premiums, such as worker’s compensation claims, when you outsource the work to us. It’s Sensible — Frankly, consumers prefer to do business in a clean, fresh-smelling environment. Choosing KIWI as your Phoenix business tile and grout cleaner means a more inviting business for cash mobs. 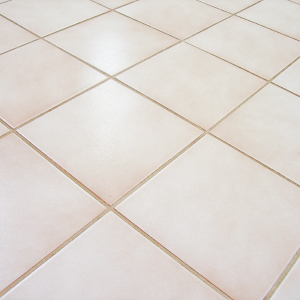 Contact KIWI Services today to set up your tile and grout cleaning service to your business’ specific schedule.